Please delete C:\Users\\AppData\Roaming\Listary\UserData\DiskSearch.db and try to start Listary again. 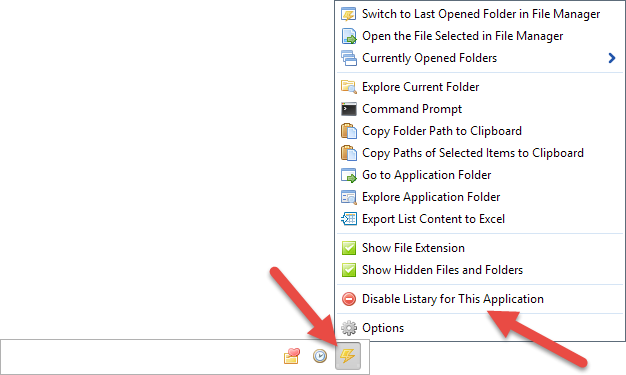 Open Listary Options – Hotkeys, uncheck Press Ctrl twice to show/hide Listary. Please also send a bug report on the forum or using the contact form, thank you! Activate Listary in that app. Move your mouse toward the 3 dots. 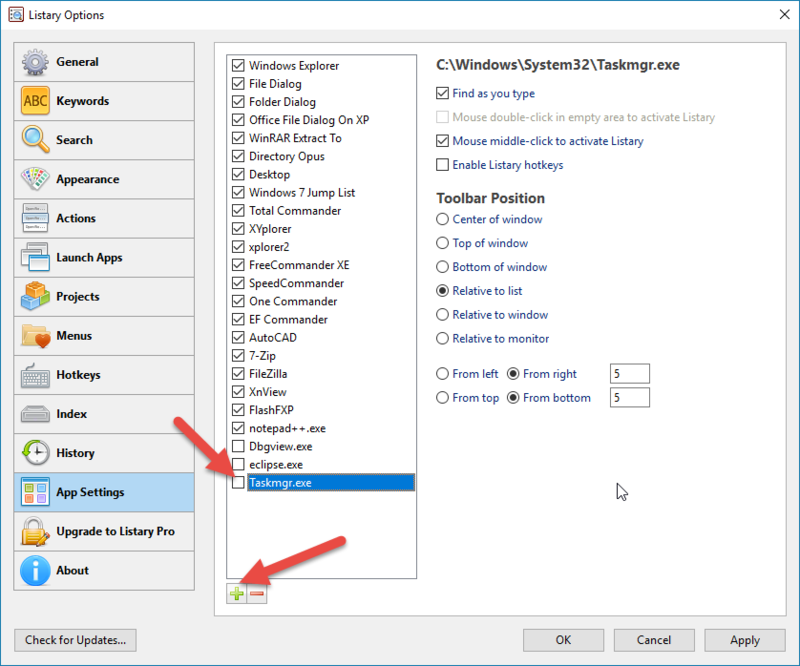 Open Listary Options – App Settings. 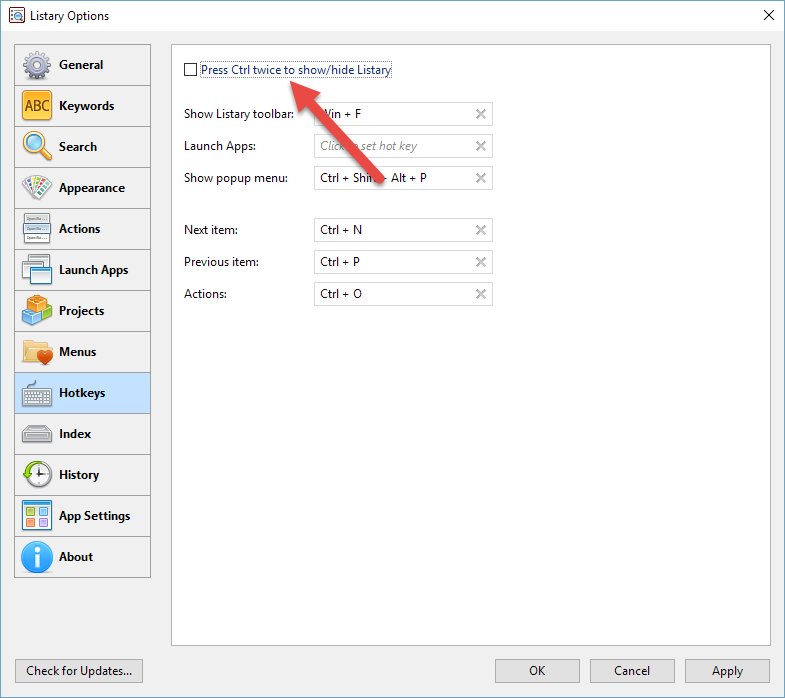 Click the add button and select the application (e.g. “C:\Windows\System32\Taskmgr.exe”). Uncheck the checkbox before it. © 2010-2019 Bopsoft. All right reserved.